Comment: I've enjoyed many of the books in Carolyn Hart's mystery series featuring the owner of a mystery bookstore. This is the most recent. Publisher's description: Solving puzzles comes naturally to Annie Darling, cheerful owner of the Death on Demand mystery bookstore on the lovely sea island of Broward's Rock. Annie is aided and abetted by her admiring husband, Max, who runs an unusual business that offers help to people in trouble. A recent death appears to be suicide, but Annie suspects murder. To solve the case, she unravels the mystery of a towel hidden at midnight in a gazebo, the lack of fingerprints on a crystal mug, blood on a teenager's blue shirt, and the secret of a lovers' tryst. Annie believes she has set the perfect trap for a merciless killer until her cell phone rings and Death whispers in her ear. About the author: This is the 21st Death on Demand novel written by award-winning mystery writer, Carolyn Hart. 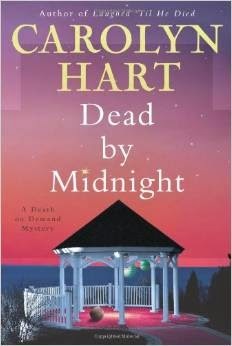 Hart has also created two other mystery series, and is the founder of Sisters in Crime. She lives in Oklahoma City. Will I be sitting in and reading all day, every day? No, it's too nice out - sunny and warm after a longgg winter! Drives into the countryside, a visit to a flower market, bird watching, a movie..... I don't even miss the Florida beaches as Lake Erie views will do for now! I'm reading Island Girl for a TLC tour early June and enjoying it! Watch out for my review, please! Several cozy mysteries from Penguin arrived, which I can't wait to read, including one I started, Ink Flamingos: A Tattoo Shop Mystery, intriguing to say the least! Two books came from HarperCollins Publishers, which I'm also eager to read - The Art of Saying Goodbye: A Novel and one with a great title, Insatiable , about a vampire war in NYC. I haven't seriously read many in this genre but am ready to dig into this one! It's a great year for print books, even though eBook sales have gone up! I can't resist the covers of print books! How about you? The first few sentences from the crime novel, The Bone Yard by Jefferson Bass; Hardcover, 336 pages. Published by William Morrow, March 8, 2011. Genre: thriller. Source: Publisher. Product description: The onset of summer brings steamy weather to East Tennessee and the Body Farm, Dr. Bill Brockton's human-decomposition research facility at the University of Tennessee. But Brockton's about to get more heat than he's bargained for Angie St. Clair, a forensic analyst with the Florida Department of Law Enforcement, asks him to help prove that her sister's death was suicide, but murder. Brockton's quick consulting trip takes a long, harrowing detour when bones begin turning up amid the pines and live oaks of the Florida panhandle. Two adolescent skulls - ravaged by time and animals, but bearing the telltale signs of lethal fractures - send Brockton, Angie, and special Agent Stu Vickery on a search for the long-lost victims. The quest leads them to the ruins of the North Florida Boys' Reformatory, a notorious juvenile detention facility that met a fiery end more than forty years ago. Welcome, Kate. Thanks for talking to us about your research for your WWII historical novel, The Beauty Chorus. Doing the research for a new book is in a lot of ways the best part. Rather like Method actors are advised to ‘walk in the shoes’ of their characters, I love immersing myself in the world of the book completely. After the initial ‘lightbulb moment’ when I read a small obituary about a woman who had flown Spitfires during WW2, I spent months learning all I could about the incredible women of the Air Transport Auxiliary. I scoured archives and museums, read every first hand account I could of what life was like for these brave and beautiful women who came from the US, the UK, from countries all over the world to fly planes to Allied fighter stations in Britain. I always advise my writing students to engage all their senses when they are writing. If you can let your readers feel what it is like to really be there – what you see, smell, taste, hear, touch – it brings a story to life. 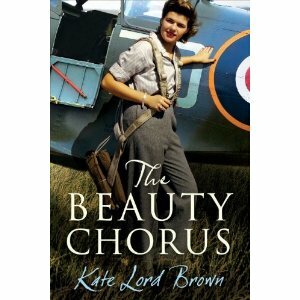 Writing ‘The Beauty Chorus’ I immersed myself in the world of a WW2 pilot. I went to aviation displays, walked among people in uniform re-enacting scenes. I researched the perfumes the women might have worn, smelt samples. I experimented with wartime cooking from archived cookbooks, listened to swing music and jazz standards from Ella Fitzgerald and Billie Holiday. I looked at vintage clothing, touched the fabrics, got up close to fighter planes and felt what it was like to handle them. Hopefully all this will bring my debut novel to life. I’ve woven fact and fiction together – I hope readers will really feel they are part of this world, and that they won’t be able to spot the join between what really happened, and what I have imagined. "New Year's Eve, 1940: Evie Chase, the beautiful debutante daughter of a rich and adoring RAF commander, listens wistfully to the swing music drifting out from the ballroom, unable to join in the fun. With bombs falling nightly in London, she is determined that the coming year will bring a lot more than dances, picnics and tennis matches. She is determined to make a difference to the war effort. 5th January, 1941: Evie curses her fashionable heels as they skid on the frozen ground of her local airfield. She is here to join the ATA, the civilian pilots who ferry Tiger Moths and Spitfires to bases across war-torn Britain. Two other women wait nervously to join up: Stella Grainger, a forlorn young mother who has returned from Singapore without her baby boy and Megan Jones, an idealistic teenager who has never left her Welsh village. Billeted together in a tiny cottage in a sleepy country village, Evie, Stella and Megan must learn to live and work together. Brave, beautiful and fiercely independent, these women soon move beyond their different backgrounds as they find romance, confront loss, and forge friendships that will last a lifetime." Kate studied Philosophy at Durham University, and Art History at the Courtauld Institute of Art. She is currently taking a Masters degree. She worked as an art consultant, curating collections for palaces and embassies in Europe and the Middle East, and was elected a Fellow of the Royal Society of Arts. She was a finalist in UK ITV’s the People’s Author competition in 2009. Her debut novel ‘The Beauty Chorus’ is published by Corvus, Atlantic 1/4/11. Somer looks up at her mother. "Mom, what do you think about adoption?" Her mother smiles. "I think it's a wonderful idea. Are you considering it?" Product description: "On the eve of the monsoons, in a remote Indian village, Kavita gives birth to Asha. But in a culture that favours sons, the only way for Kavita to save her newborn daughter's life is to give her away. It is a decision that will haunt her and her husband for the rest of their lives, even after the arrival of their cherished son. Halfway around the globe, Somer, an American doctor, decides to adopt a child after making the wrenching discovery that she will never have one of her own. When she and her husband Krishnan see a photo of baby Asha from a Mumbai orphanage, they are overwhelmed with emotion for her. Somer knows life will change with the adoption, but is convinced that the love they already feel will overcome all obstacles. Interweaving the stories of Kavita, Somer, and Asha, "Secret Daughter" poignantly explores issues of culture and belonging. Moving between two worlds and two families, one struggling to survive in the fetid slums of Mumbai, the other grappling to forge a cohesive family despite their diverging cultural identities, this powerful debut novel marks the arrival of a fresh talent poised for great success." Comments: The topic of international adoptions will resonate favorably with many families in the U.S. This touching novel that follows a family through 20 years will interest all readers. 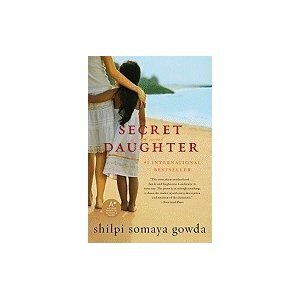 GIVEAWAY: HarperCollinsPublishers has offered to give away a copy of Secret Daughter to a reader. UPDATE: The winner of the giveaway contest, chosen by Randomizer, is JennyQ! After reading this enjoyable cozy mystery about antiques, I decided to catalog my books and things, although none of these are valuable! I got into the mood of cataloguing and sorting, and my books certainly need it. In this mystery novel, an unusual pearl button found at the scene of a crime leads to the murderer of the owner of vintage clothing and furniture. Josie Prescott is the amateur sleuth and owner of an antiques shop who discovers the body and does the solving. I rated this read a 5 in cozy mystery books. This novel sent me on an historical adventure to Egypt in the late 19th Century, and a trip all around the world, following news reporter Nelly Bly as she tries to span the globe in less than 80 days, completing her tour in 72 days. Along the way she witnesses a murder, is involved in its subsequent intrigue, and helps foil a murderous plot of international importance. A good read, with lots of references to well known people and events of the day. The extensive research that went into her book made it all the more enjoyable. I rated it 4.5 out of 5 for an historical mystery. Publisher's description: "It starts with a gift, when Ben Ryder Howe's wife, the daughter of Korean immigrants, decides to repay her parents' self-sacrifice by buying them a store. Howe, an editor at the rarefied Paris Review, agrees to go along. Things soon become a lot more complicated. 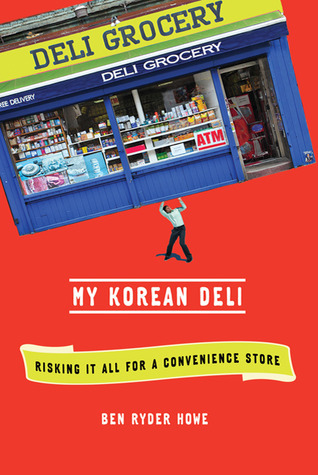 My Korean Deli follows the store's tumultuous life span, and along the way paints the portrait of an extremely unlikely partnership between characters with shoots across society, from the Brooklyn streets to Seoul to Puritan New England. Owning the deli becomes a transformative experience for everyone involved as they struggle to salvage the original gift—and the family—while sorting out issues of values, work, and identity." Comments: A cute, amusing memoir about family, culture, and a financial attempt in the diverse city of New York. About the author: Ben Ryder Howe is a former senior editor of The Paris Review and has written for The New Yorker, The Atlantic Monthly, and Outside. His work has been selected for Best American Travel Writing. He and his family live on Staten Island. My comments: A cozy mystery with a Southern flavor, both in its setting and its colorful characters. The novel works to give us a taste of the people and ways of small town North Carolina. This emphasis on place only detracts slightly, however, from the mystery plot that gradually unfolds. Cozy readers will like life on Main Street and the new amateur sleuth, AnnaLise Griggs. to set a new standard, even by the unusual measure of this North Carolina resort town. Answering the summons, AnnaLise returns home to find Labor Day preparations in full swing. But this traditional celebration promises to be no picnic. People are dying and unless AnnaLise can figure out why, her mother Daisy may be next." About the author: Sandra Balzo is known for her Maggy Thorsen coffeehouse mystery series. Her second series, Main Street Mysteries, began in April with RUNNING ON EMPTY. The mysteries are set in the popular vacation destination of North Carolina's High Country. The Civilized World: A Novel in Stories by Susi Wyss, March 29, 2011. "Does being born on a Monday have any special meaning in your culture?" Janice asked. "It's just our tradition to name children after the day of the week on which they're born, though many people think a person's qualities can be predicted by their name. Monday-borns are said to be quiet." 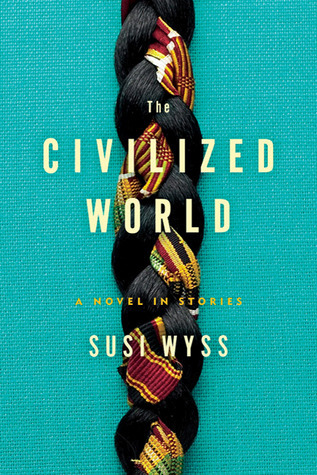 Publisher's description: This stunning literary debut is a novel in stories set in Africa and the United States that follows two Ghanaian and three American women as their lives intersect in unexpected and explosive ways. " My comments: The stories follow Adjoa who leaves Ghana to open the Precious Brother Salon in the Ivory Coast, about Comfort and her American daughter-in-law Linda, about the American Ophelia, and also about another American, Janice, who moves to Ghana. The stories reflect the author's background working in Africa for almost 20 years. She brings her knowledge of the culture and the women to nine short stories that make up this novel. Highly recommended for those interested in women's fiction and in African cultures. 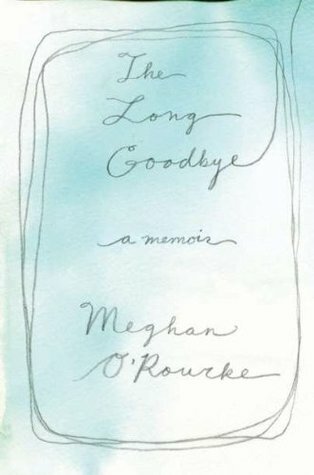 Book Reviews: "The Long Goodbye: a Memoir" and "Please Look After Mom: a Novel"
I found two excellent library books on similar subjects dealing with lost mothers, so am reviewing them together. chronicles the days leading up to and the months after the death of the author's mother after a long illness. The book will resonate with anyone who has lost a close family member; it also discusses our society's general lack of mourning rituals that go beyond the period of death and burial. People go about their lives after the death of a loved one, but very often they may continue to mourn, very often alone and in silence. Fifteen months after her mother's death, O'Rourke is still affected by not having her mother in her life, but has come to a kind of acceptance. Heartbreaking and honest. Rating: 4.5 out of 5. 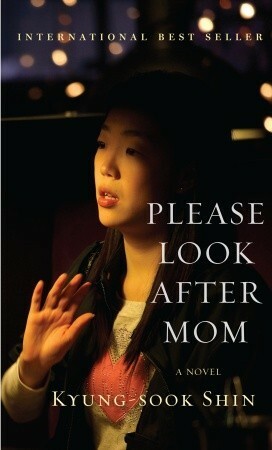 (April 5, 2011) tells us about the children of a Korean woman whose mother is missing after being separated from her husband on a visit to the big city in the crowded and unfamiliar subway. The mother is elderly and becoming disoriented and forgetful; her daughter has only recently realized that her mother cannot read or write. They don't know how to go about finding the mother, apart from posting newspaper notices, searching through the streets, and passing out leaflets with her picture. During their search, the children find out more about their mother and each member of the family gradually comes to have a deeper understanding of her and the life of sacrifice she has lived. Set in Korea, I find the novel both culturally revealing and haunting in its view of a family's dynamics and a mother's relationship with her children and husband. Rating: 4.5 out of 5. Eliza Benedict paused at the foot of the stairs. Time for what, exactly? All summer long - it was now August - Eliza had been having trouble finding the right words. Not complicated ones, the things required to express strong emotions or abstract concepts, make difficult confessions to loved ones." (from uncorrected proof; final copy may differ). Publisher's description: " An edgy, utterly gripping tale of psychological manipulation that explores the lasting effects of crime on a victim's life." "Lippman tells a gripping tale of a young woman whose life dangerously entwines once again with a man on death row who had kidnapper her when she was a teenager." I'd Know You Anywhere was nominated for the Edgar Awards 2010. My comments: The Eighth Scroll pits the Mossad, the Vatican, and the CIA against each other in their search for the Eighth Scroll, hidden by a Jewish librarian in Roman times and recently come to light after the discovery of the librarian's diary. The scroll may contain information that none of the three groups want revealed for different reasons. A thriller that reminded me of The DaVinci Code, The Eighth Scroll will have you sitting on the edge of your seat as you follow theologian Michael Hansen and graduate student June Cody in their search for the scroll in this fictional work. Book description: "Stirring the flames of age-old controversies, The Eighth Scroll by Laurence B. Brown draws on the three Abrahamic faiths of Judaism, Christianity, and Islam to create an unbelievably dynamic and powerful story. Set in a world that teeters between orthodoxy and heresy, this thriller is packed with intrigue and adventure. When a Roman Catholic scholar involved in the Dead Sea Scrolls Project hides one of the scrolls because of the heretical message it contains, no one is the wiser until decades later, when a prominent archeologist discovers reference to the scroll in an archeological dig. This discovery ... leav(es) the salvation of humankind to a father and son, who must either find the hidden scroll . . . or die trying." About the author: "A graduate of Cornell University, Brown University Medical School, and George Washington University Hospital residency program, Laurence B. Brown is an ophthalmic surgeon, a retired Air Force officer, and the medical director and chief ophthalmologist of a major eye center in the Middle East. He has authored four books of comparative religion, The Eighth Scroll, and another soon-to-be-published action/adventure novel. " 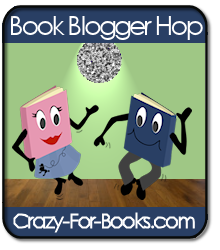 Are you going to Book Expo America (BEA) and/or the Book Blogger Convention (BBC) this year? Sadly, I'm nowhere near those events and will have to rely on my fellow bloggers to give the scoop on what goes on at BEA and BBC. Other plans for trips have come up and sadly, not in those locations! Book Trailer: In celebration of the paperback release of "Last Snow", a new Youtube book trailer is available for readers to take a sneak peak! Publicist: From the author of "The Bourne Sanction" and "The Bourne Legacy" comes Eric Van Lustbader's electrifying second novel in the Jack McClure/ Alli Carson Series, "Last Snow". Steve Hamilton's The Lock Artist: A Novel [Hardcover](2010) won this year's Edgar Award for Best Novel. I scanned it in about two hours or so and felt I got the gist of the book, which I would rate about a 4 out of 5 stars. The lock artist is a young man who has decided not to speak though he is not physically mute. His talents for unlocking safes and any kind of lock makes him a target for professional thieves, who take advantage of him and reward him with very little if any of the takings. The book shows his history through flashbacks in the storytelling and gradually reveals the reason he is now in jail at the start of the book. However, not all is lost for this young man. There is a twist to the plot and at the end, there is hope for a better life and even for love. The characterization is excellent. You become involved in the life of this mute and seemingly helpless but talented "lock artist," as the story is told in the first person, from his point of view. I can understand why the book won the Edgar. After all, the author has won before and was certainly a safe bet. However, there is another Edgar nominee that I rated a full 5 stars - The Queen of Patpong: A Poke Rafferty Thriller by Timothy Hallinan. This book is not only socially conscious, even more so than The Lock Artist, but it's also an excellent thriller with a lot going for it on several levels. I recommend you read them both!